Both Texas senators are a part of the Senate Judiciary Committee that will hear the allegations on Thursday. Texas’ two Republican senators, John Cornyn and Ted Cruz, will be in the middle of the action as members of the committee. Over the past 10 days, both have said they want to hear from Kavanaugh’s accusers. 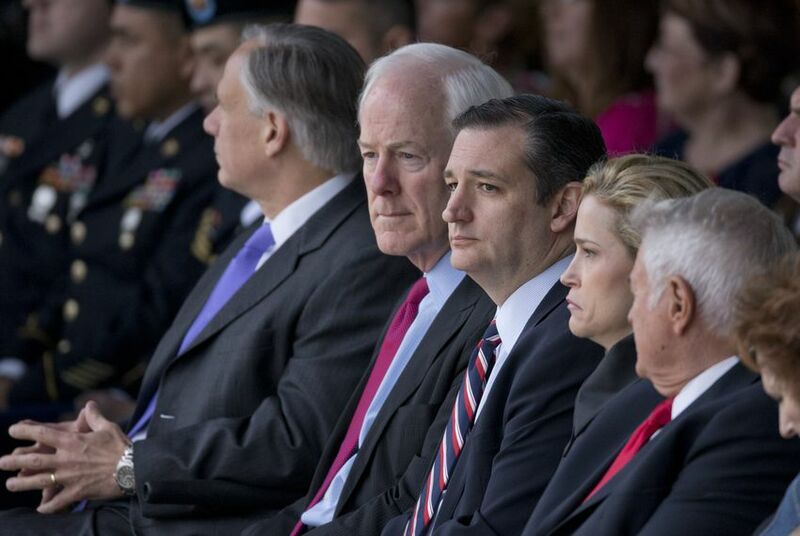 And Cornyn, the number two Republican in the chamber, has also pushed for proceedings to move quickly, accusing Democrats of playing politics with the confirmation process and suggesting that the accusations against Kavanaugh were timed to cause maximum political damage. More allegations came Wednesday, when attorney Michael Avenatti leveled charges on behalf of a client named Julie Swetnick. She alleged that she saw Kavanaugh at parties where women were intoxicated, abused and "gang raped." Kavanaugh has categorically denied the charges. Late Wednesday, NBC News reported that the Judiciary Committee was looking into at least one more sexual misconduct allegation. That news followed allegations last week from California professor Christine Blasey Ford, who claimed that Kavanaugh sexually assaulted her when they were high school students. Days later, Kavanaugh's Yale classmate Deborah Ramirez told The New Yorker that Kavanaugh exposed himself to her during college. On the surface, Swetnick's charges changed little about how the Senate is handling the matter: Democrats only grew more enraged, and many Senate Republicans questioned the credibility of Swetnick's allegations and motives. Cornyn said the Judiciary Committee was taking all the allegations against Kavanaugh seriously and has reached out to Avenatti to interview his client under oath. Still, he made clear he does not see the growing controversy as a reason to hold up the committee vote scheduled for Friday. “I don’t believe there’s any reason to delay the vote because what we are seeing is a political campaign being carried out by some of the operatives on the other side," Cornyn told Texas reporters on a weekly call. "They haven't been very coy about what they are doing." As for whether Cornyn plans to vote for Kavanaugh, Cornyn said he intends "to listen to what Dr. Ford says and then I'll make up my mind — but we do need to vote" in committee. "If she's unable to prove her allegation, then I would believe Judge Kavanaugh's denial in the absence of proof,” he said. Cruz, meanwhile, has maintained that he wants to hear from the nominee and his accusers. He said he is hopeful that Swetnick will accept the invitation to speak with the committee's investigators and that "I think we should wait to see the result of that investigation." "Those allegations are serious,” he said. “They deserve to be treated with respect. Dr. Ford deserves an opportunity — a fair and full opportunity — to tell her story and to do so in a way where she's treated with respect. And Judge Kavanaugh equally deserves a fair and full opportunity to defend himself."